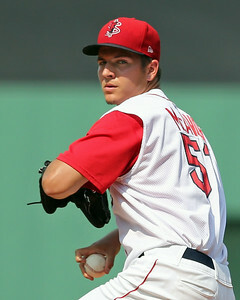 Scouting Report and 2016 Outlook: On the SoxProspects.com Podcast, we recently discussed players in the system with the best tool in each of the standard five categories. Brentz's name came up for both his cannon arm in the field and light-tower power at the plate. 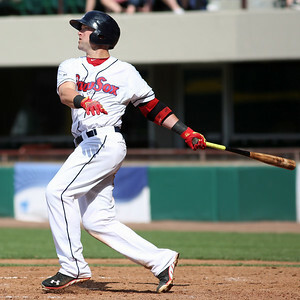 Those tools allowed him to peak at fifth in the SoxProspects.com rankings in September 2012 after batting .296/.355/478 with 17 home runs in Portland. At the time, his ceiling of a middle-of-the-order power bat looked attainable, but he has been plagued since by a pair of problems: injuries and strikeouts. In 2012 he played 127 games, but has steadily decreased each season, to 88 in 2013, then 72, and finally just 59 this season. The thumb injury this season follows the infamous gun accident in spring of 2013, a knee injury that cost him most of July and August that same year, and a hamstring injury that lingered longer than expected in 2014 and cost him two months. His maladies have run the gamut, and while they could just represent a streak of bad luck with seemingly no common thread, his ability to stay on the field for a full season is justifiably in question.